My buddies and I always get really excited when we find out that the party has beer pong. Not that it gives us an excuse to hang out in the corner instead of being social, in fact it’s our favorite way to meet people by partnering up with a stranger and having some friendly competition. Set up the cups, get ready for kickoff, and then woa woa woa wait a sec–here comes the host to explain all the house rules. No bounce shots because they can’t stand it when people bounce, or bouncing is worth three cups because they love bouncing, is that cool? Dude. Really? I mean of course it’s cool because, it’s your house. 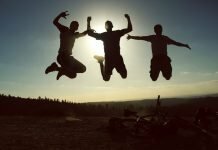 But then the guests will inevitably forget about the house rules every now and then, and do you really want to be THAT guy constantly reminding everyone of the rules? If you want to change up the game to suit your style, let the table set the rules for you. We all know those sneaky players who love to get under your skin with a bounce shot (usually worth two cups) when you’re not paying attention. Some say it’s cheap, others think it’s part of the game. But if bounce shots aren’t your style, pull out a table that’s not ideal for bouncing. The more solid the surface of your beer pong table is, the higher the bounce. So maybe you shouldn’t bother asking your friend who knows how to do carpentry to hook you up with a table. Even a softwood like pine is going to give a good bounce. You want to look for something with a surface that absorbs bounces well. Like a whiteboard surface. 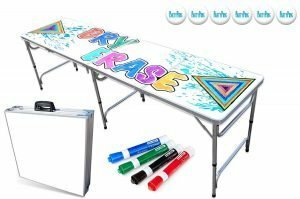 Of course, it’s far more likely that these beer pong tables were designed for decorating rather than bounce-proofing your game, which is why they come with a handful of dry erase markers, but hey. Sometimes the greatness is invented by accident. 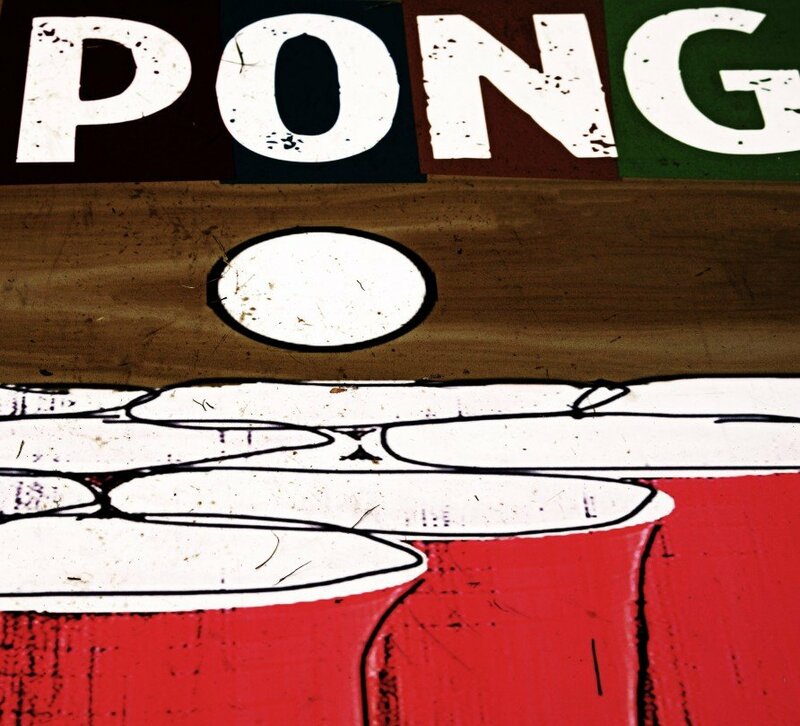 Party Pong Tables offer a blank canvas as well as all sorts of varieties including tables with pre-drilled cup holes and/or neon lights. 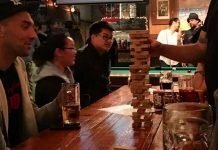 The only potential downside to the Party Pong Tables is everyone loves to decorate at parties, and your guests might be having too much fun with that while you were trying to play a serious game. 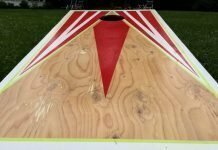 If you DO like to bounce, this beer pong table designed by The Pong Squad will make it much easier for you to sneak one in while your opponents are distracted. The surface of the bounce factor is pretty average, and the pre-drilled cup holders is what changes the game in your favor. Yes, aforementioned tables also have pre-drilled holes, but their surfaces reduce bounce to the point where it will take some serious skill to take advantage of it. Sunken-in cups are becoming popular with table designs for that and many other reasons. There’s no arguing about kissing cups or how much liquid you have in the bottom. If someone slaps a bounce shot, they won’t knock over the cups as much. 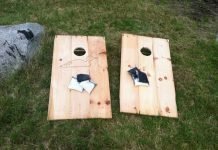 Don’t worry, if you want to re-purpose the table for a game of flip cup, hole covers are included. 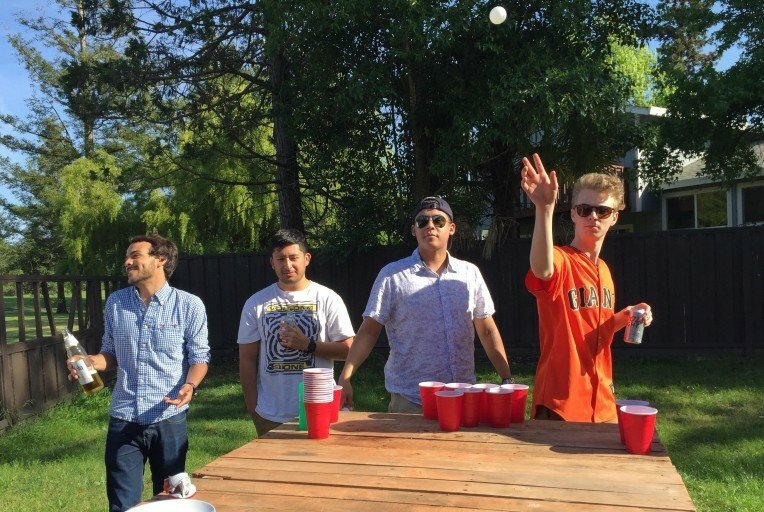 Have you ever thought about how much time is wasted chasing after stray beer pong balls? 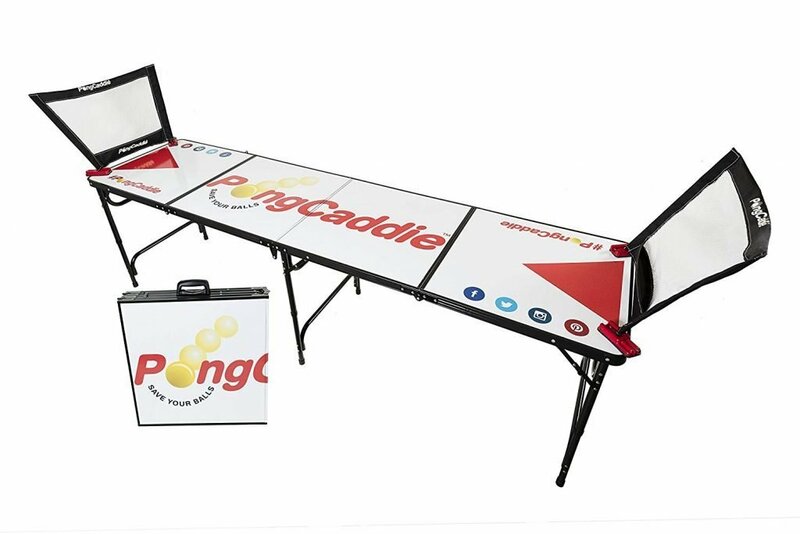 I hadn’t either until I saw this table designed by PongCaddie. Everyone hates chasing after beer pong balls. Especially if you have to go under the table after a ball and wind up knocking the whole thing over… yeah. Buzzkill. I know what you’re thinking: why would you need a table with nets to collect missed balls when you never miss? Well, maybe you never miss because you’re leaning! I can relate as a tall guy, it’s always hard for me to keep track of my elbows. I like to think as long as I don’t knock over any cups or partners, it’s a good day. The time I knocked over the whole table, not so much. 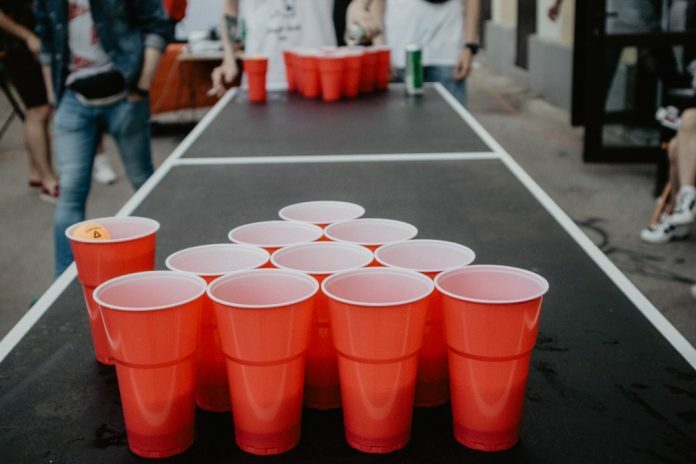 I have to admit that having a net in a beer pong game is weird at first but it forced me to shoot honestly and consistently which has improved my game. Plus it cuts down on wait time to get in on the next game. Of course if you get sick of them, they’re easy enough to take off, but once you go with a net, you’re set. Seriously, give these nets a try. I didn’t think of this at first either, but it’s also more sanitary for the ball not to be rolling around on the floor, in the couch, etc. 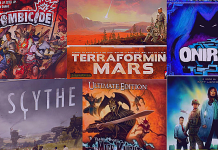 My buddies and I decided to make this past 4th of July extra epic with not just a cookout, but outdoor games. Corn hole, water slides, and of course beer pong. Problem was, when we brought the ‘ol folding table out to the backyard, we couldn’t quite keep the surface level. Cups were sliding all over the place, and eventually the surface got so hot that the bottoms of the sups started melting. Thankfully our friend Owen had yet to grace us with his presence. We called him up and asked him to bring his “beach” beer pong set. At first glance, you’d think okay, it’s a cloth surface so that you can easily brush off sand. Yes, and the pre-made cup holders keep everything level. The legs anchor into sand or grass better. And that cloth surface that won’t melt your cups in the hot sun also happens to absorb bounces really well. Watch your elbows! 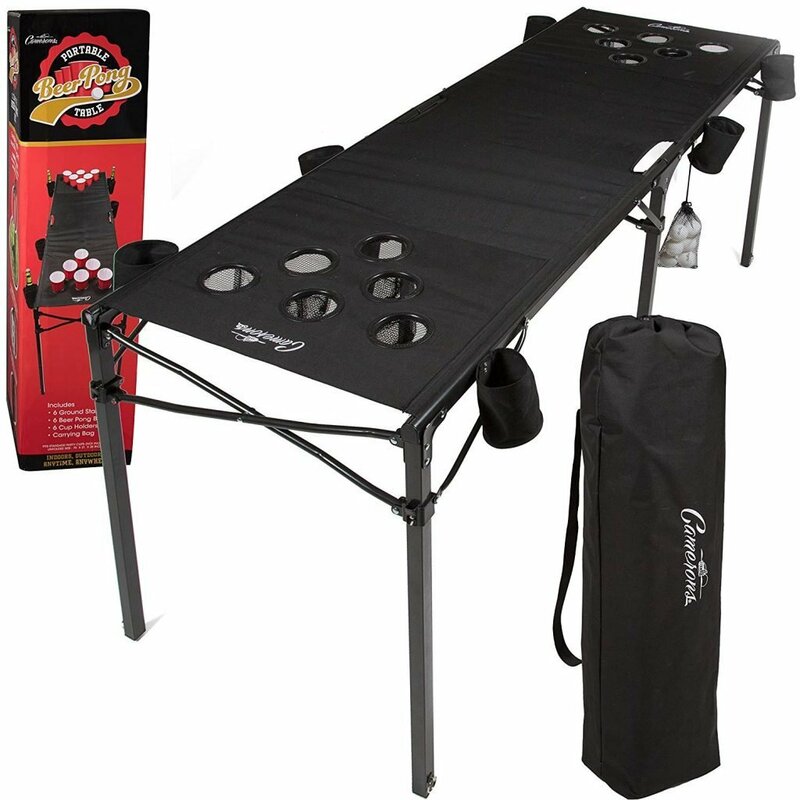 Camerons Portable Beer Pong Table is, at 6 ft long, a bit smaller than regulation size, but let’s be honest not everyone has room to stuff an eight footer in the back of their trunk. 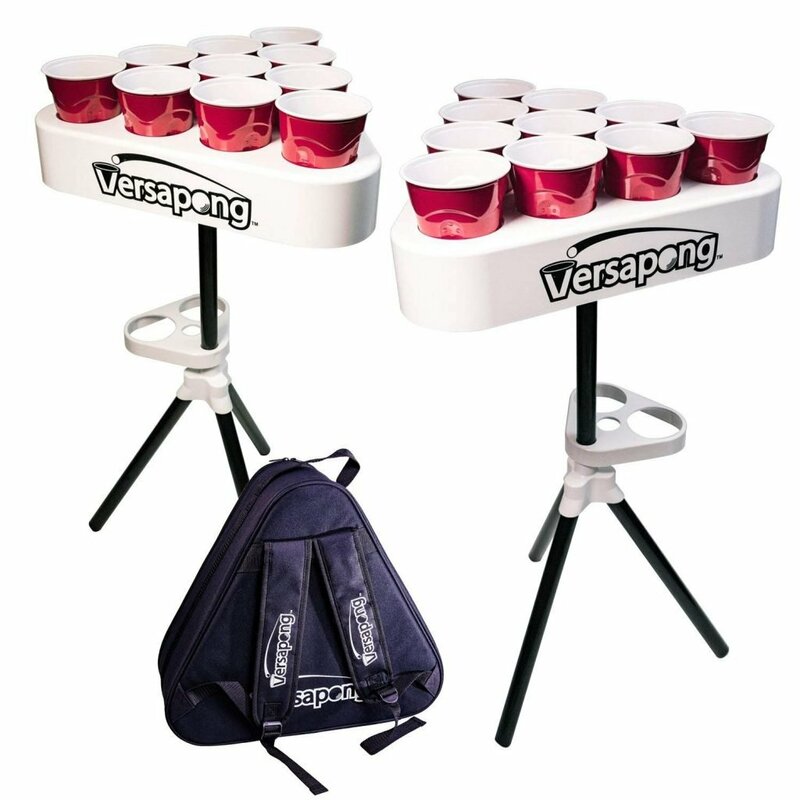 Another excellent option for bounceless and outdoor play is this portable kit made by Versapong. Because if you’re torn between bounce or no bounce, indoors or outdoors, there’s a table that really can do it all… and yes this one also fits in the back of Owen’s Prius. 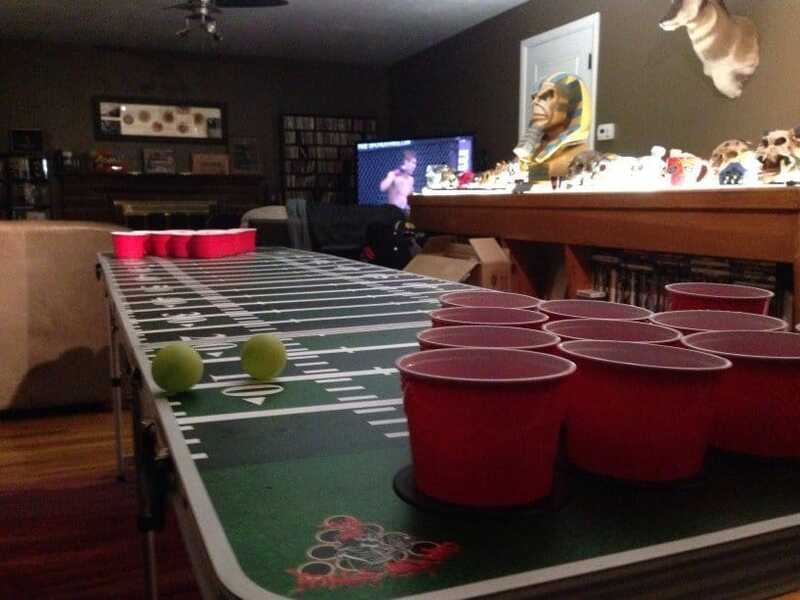 As its name implies, this table can make the game of beer pong so versatile you might as well call it something else entirely. 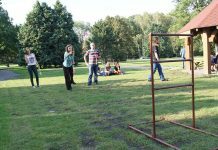 You can set this one up for a classic, casual game, or you can position it so that have to bounce off the wall. You can put this on a basketball court and shoot literal threes. Out of all the tables, this one travels best and can be setup anywhere, and it’s said to draw a crowd at concerts and tailgates. Beer Pong isn’t the only thing you can do with a ping pong ball. With ping pong basketball, table hockey, and sharpshooter there’s plenty of games to change things up. And if you’re going outside and looking for something a little more physical… ever hear of Polish Horeshoe? The key to having a good time is keeping the rules simple–let your setup do the rest so you can focus on enjoying the games. Next articleIs Slap Cup the New Flip Cup?